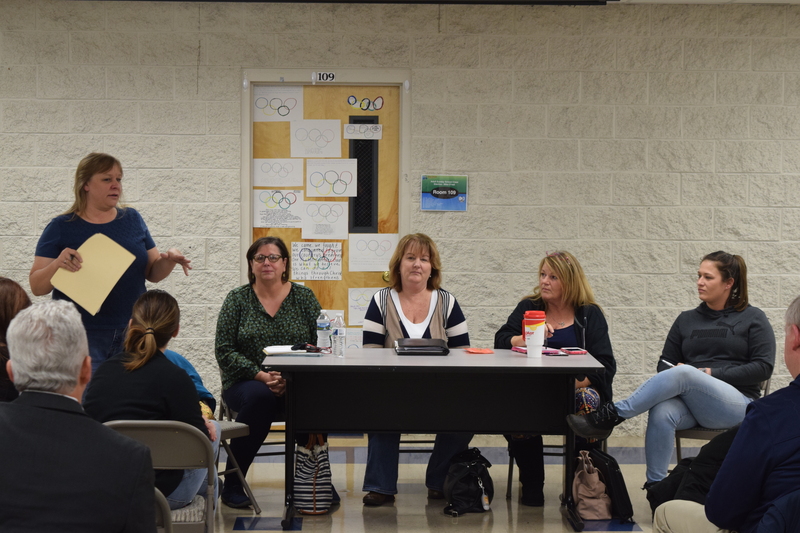 The first Thermal Shelter meeting was held Thursday evening, Jan. 11 at New Hope Bible Church, to discuss the serious need for a temporary thermal shelter in Warren County. The Royal Examiner’s take was that the Thermal Shelter meeting had a strong turnout, and the Mayor of Front Royal, Hollis Tharpe, “was in attendance and was able to help answer a variety of questions.” In addition, the Royal Examiner emphasized several positive results. For one thing, the community united to address a serious problem. In addition, the meeting successfully accomplished something: several churches in attendance volunteered to hold week-long thermal shelters from 7 PM to 7 AM, starting immediately. The article (which did a great job quickly summarizing the specifics of what occurred that evening) did not mention an additional positive aspect of the meeting. Pastor Marc Roberson of Riverton United Methodist Church spoke about the Winchester Area Temporary Thermal Shelter (WATTS). As one of the founders of WATTS, Pastor Marc knows how to run a Thermal Shelter. Pastor Marc went over the practicalities, the resources and volunteers needed for conducting Thermal Shelters. He also discussed how to train volunteers and how to set up a strong structure that would ensure that the Thermal Shelters ran smoothly. Pastor Marc also explained that churches should figure out how to integrate housing the homeless with safely running activities that involve children and teenagers—which again is a concern that churches must and can resolve. For example, churches can ensure that the homeless guests arrive an hour after all activities end and leave an hour before morning activities commence in the mornings. WATTS, for the record, is now well funded, with paid workers, but it started off as a volunteer organization organized in a time of great need. Kathy Leonard (l), Vicki Davies, Michelle Smeltzer, Pam Williams and Roni Evans. Nonetheless, none of this can legally happen right now, which leads me to express my take on this first meeting. First, I’m grateful to the news organizations that covered the meeting, particularly Jen Avery from the Royal Examiner. Naturally, I’m grateful to the folks from the churches and non-profits that came and volunteered their time and support to help solve a public emergency. Moreover, I’m grateful to the organizers of the event: Pastor Bobby Stepp of New Hope Bible Church; Kathy Leonard, Homeless Liaison for Front Royal and facilitator of the evening; Vicki Davies of St. Luke Clinic, Michelle Smeltzer, with House of Hope and the Department of Social Services; Pam Williams, from The Potter’s House; and Roni Evans. Every single organizer there realized that as a community we must do something, and now, to get our brothers and sisters, off the streets. “For I was hungry and you gave me food, I was thirsty and you gave me drink, I was a stranger and you welcomed me, I was naked and you clothed me, I was sick and you visited me, I was in prison and you came to me.’ Then the righteous will answer him, saying, ‘Lord, when did we see you hungry and feed you, or thirsty and give you drink? And when did we see you a stranger and welcome you, or naked and clothe you? And when did we see you sick or in prison and visit you?’ “The King will reply, ‘Truly I tell you, whatever you did for one of the least of these brothers and sisters of mine, you did for me.’” Matthew 25:35-40. All or almost all of the attendees present, no matter their religious affiliation, agree that a community should help shelter the homeless. The eight or more churches who volunteered their time and resources follow the axiomatic principle that being a good citizen means you do not allow your neighbors to freeze in the cold. We have neighbors who are freezing tonight. There’s just no way around this truth. Unfortunately, as the meeting progressed, truth and emergent need ran into a massive roadblock: bureaucratic red tape. Mayor Tharpe explained that before a church could legally host a Thermal Shelter, it would have to go through a sixty to ninety day process that would include no less than four town hall meetings as well as a visit from a Fire Safety Inspector. The tone in the room changed dramatically after Mayor Tharpe spoke. He in fact, did not speak of red tape; in fact, he said that “he would move the process along as fast as he could.” And when asked for comment afterward, Mayor Tharpe said that he didn’t understand why a permit was needed in the first place and he would check on the situation and the legal stance of the town on Tuesday. “I’m on the little guy’s side.” In truth, Mayor Tharpe hardly comes across as an obstructionist to the cause of homelessness. Nonetheless, the issue of bureaucratic red tape changed the tone of the meeting. Indeed, an air of civil disobedience arose. It was palpable and it was alive. I was part of this wave of people who muttered, “This will not do,” which was quickly followed by several suggestions. “We can hold a slumber party,” exclaimed one church leader. “Or a lock-in,” cried another church leader or church goer. “Or we can build an underground resistance movement and ask forgiveness not permission,” murmured a member of one of the non-profits in attendance. There are many hurdles to overcome in addressing the rising homelessness crisis in Front Royal/Warren County. While it was wonderful to see such a great outpouring of community support last Thursday, the need is still outweighing the current response. There is much work to do still, and I encourage everyone that attended last weeks meeting to bring a friend or neighbor to the next meeting. My grandmother Hazel used to always say, “never look someone in the face and not see your own.” Anyone of us given the right circumstances could end up homeless. We as a community have the ability to help everyone have a healthy experience at life. We need to stop turning a blind eye to the tragic living conditions that currently exist for some of our community members. If the Town and County can’t be motivated by the human factor, Studies show that communities that take a housing first approach enjoy roughly $1.78 return for every $1 spent on such programs. (University of New Mexico ISR). The time to act is now. ROTH of Front Royal aims to end homelessness in Warren County, VA by providing housing and supportive services to members in our community through non-judgmental and non-discriminatory assistance. Five of us from ROTH sat in the front row, and we observed the frustration on the faces of facilitators like Vicki Davis of St. Luke Community Clinic. She has nurses lined up to volunteer their care to homeless men and women who need medical treatment—and could receive it while finding a safe and warm place to sleep at a Thermal Shelter. And now Vicki is being told that her nurses may as well stay home. I haven’t spoken to Vicki, but I can speak on behalf of ROTH. We must help get the homeless off the street when the temperatures drop into the teens. Over the past year, our 501(c)(3) has helped at least one hundred homeless or almost homeless citizens of Front Royal and the surrounding areas in Warren County, but one homeless citizen suffering in sub-freezing temperatures is one too many. And while I will not quote any of the church leaders in attendance, I am certain that a church should not be told it cannot follow its guiding principles, but should bow to the insanity of a bureaucratic process that will ensure one and only one thing: the homeless will freeze tonight and tomorrow night, until all the formalities and senseless legalities are followed by a legion of would be angels. There must and should be a better way. And something tells me, based on a question asked of Mayor Tharpe, that if we proceed with this Thermal Shelter idea without going through a 90-day approval process, we will not be thrown in prison for fulfilling our civic and/or religious duty. There is a time to help. And that time is now. Homelessness is a problem here too and red-tape sometimes hinders efforts to help. Love that the red tape is likely to be snipped away there. Thank you Sue! And I think we’ll get it done. So many of the orgs in our community, churches too, have done so much already to help the homeless, and we’re not giving up, not for any amount of red tape. If we can’t cut through it, we’ll just veer around it, right?